David Dimbleby chairs debate from Westminster with Liam Fox, Laura Pidcock, Great British Bake Off judge Prue Leith, engineer Roma Agrawal and spoken word artist George the Poet. 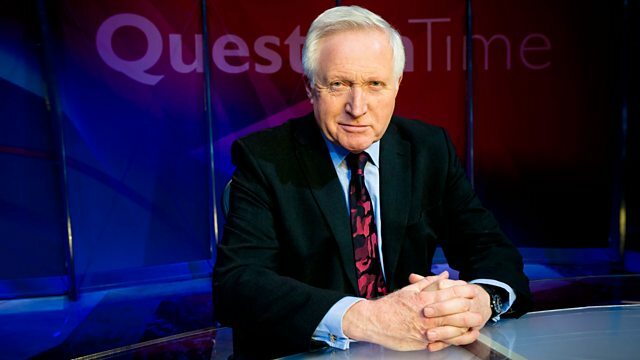 David Dimbleby chairs debate from Westminster. On the panel are secretary of state for international trade Liam Fox, shadow minister for labour Laura Pidcock, restaurateur, writer and Great British Bake Off judge Prue Leith, Roma Agrawal, structural engineer who worked on the Shard and diversity campaigner for women in engineering, and spoken word artist and social campaigner George the Poet.